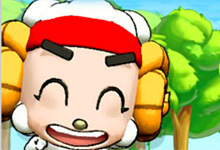 Games involving sheep are going to improve your mood and increase positive emotions. 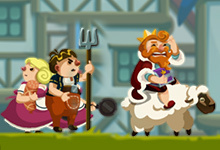 Almost in all online games of this section, the sheep adventure will be in the very center of the attention, because the characters are usually naughty, funny and always in search of adventures. 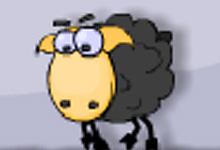 Sheep games are 2D games in which the player leads the sheep through different levels. 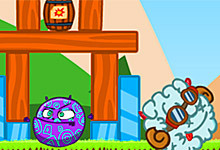 Many of these games involve climbing or jumping over obstacles and reaching different places. 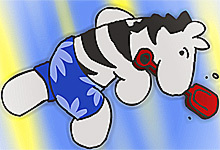 The main goal can be to help Garfield count sheep in his sleep, clean up sheep sheds or bake a nice sheep pie. 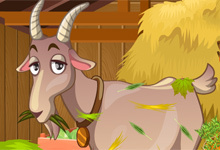 Play sheep games at horse-games.org. 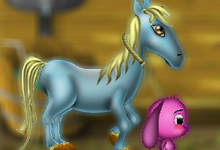 These online games are totally free of charge and suitable for the smallest players out there. 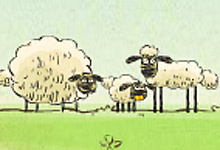 But not only youngsters love sheep games, adults too easily get addicted to the fun sheep games. 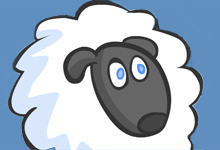 If we name a list of the best sheep games it will look like this. 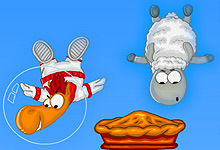 Sheep Pie is on our first place, a game where you are required to create as many sheep pies as you can and avoid the falling horses. 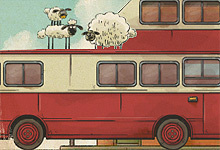 Then you can play the timeless Home Sheep Home and help the three fellows reach their home. Garfield Sheep, Dolly the Sheep, Sheep Herding and so on. They are all beautiful in their own way, just play them and enjoy.